Demonstrating change is possible. Demanding change happens. The climate crisis is the defining global issue of the 21st Century. It is about far more than physical changes to the natural environment: it is a matter of justice. And tackling it requires an unprecedented level of collective action and cooperation. 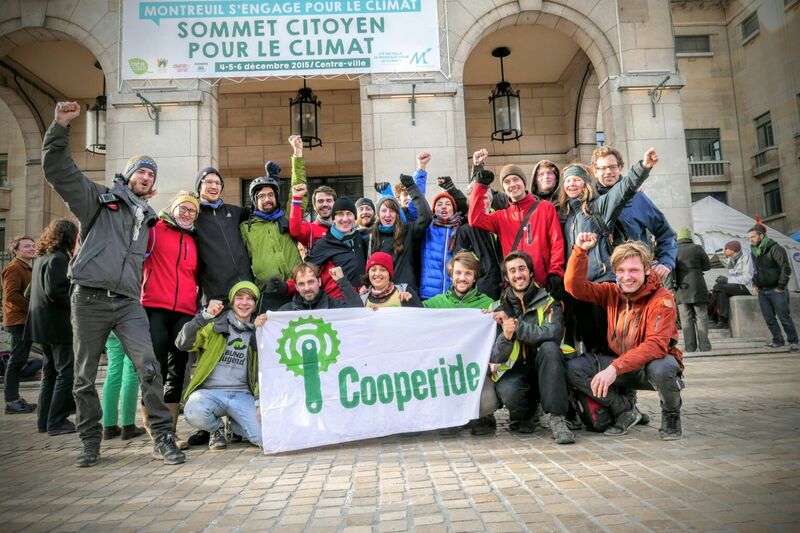 Cooperide is an international group of cyclists taking action for climate justice. We are part of the broader climate movement calling for rapid and equitable decarbonisation of society. Cooperide was founded in Lund, southern Sweden, in 2015 yet our riders come from a diverse range of places. In our inaugural ride we cycled from Copenhagen to Paris to call for a strong and ambitious outcome to the COP21 summit. With our tours we want to connect places, people and perspectives. When on the road we are a roaming community of activists, meeting allies in the environmental movement and showing solidarity with their local struggles. Hosting informative public events to share our stories from the road we come together with those who share our common vision. The change we are create in our engagement is rooted in hope; it is about movement building, empowerment and solidarity. Taking direct action against the fossil fuel industry allows us to confront those benefiting from the current climate crises. Organisations and individuals who act as barriers to action on climate change will not be judged kindly by the history books, but in the present they neither will be overcome without resistance. The scale and severity of the problem – along with the vested interests that keep fossil fuels burning – leads us to see no other option than to take direct action.